From Zimbabwe and based in our Cape Town office, Tapiwa’s work experience spans over 10 years. He joined Sonke in 2009 and serves as the International Programmes Specialist: Child Rights. At Sonke, Tapiwa has held several positions, including Training, Advocacy, Media and Donor Liaison and Communications and Strategic Information, Programmes and Research Assistant for MenEngage Africa. He brings great skill and expertise in public health, gender and human rights advocacy, campaigning and research work. Tapiwa has held several ranks, including championing the development of specific community education, training and advocacy materials on changing gender norms and promoting gender transformative norms programming. 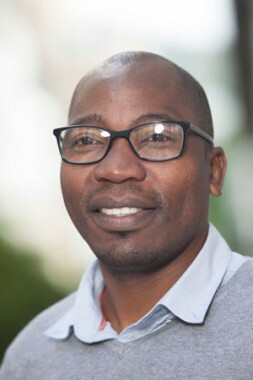 He has also shepherded a number of projects, including Men As Partners (MAP) in Zimbabwe, fundraising; providing customized capacity building training to regional partners, conducting researches on masculinities in the region, including development of communication for social change tools including Digital Stories, PhotoVoice Projects and promo videos for programmes. Tapiwa’s experience has enabled him to gain extensive knowledge and insight into both managerial and technical capacities. His profile integrates programmes co-ordination and management, including programmes design and implementation; identification, appraisal and review of project proposals; drafting and management of co-operation agreements with project partners; supporting partners in the implementation of their projects as per agreements; project quality and monitoring and evaluation. Sonke’s International Programmes and Networks Unit aims to develop and consolidate coherent national, regional and international networks of civic organisations and activists to build capacity, advocate for, and take gender transformative work with men and boys to scale at all levels. The main focus of this work is through the MenEngage Alliance, and in particular the MenEngage Africa Network, for which Sonke is the regional co-ordinator. Tapiwa believes that violence against women cuts across class, cultures and continents. He hopes to continue making a positive contribution to promoting gender equality and ending violence against women and children in Africa.